Back in June, Sotheby’s announced it would be offering up an extraordinary collection of pieces for sale in Geneva in an auction entitled "Royal Jewels from the Bourbon-Parma Family" come November 14, 2018. Now, just a few months away from the sale that is considered to be one of the "most important royal Jewellery collections ever to be presented at an auction," per the press release, new additions have been added that can be traced back to Queen Marie Antoinette of France. "Never in the course of history has the destiny of a queen been so closely associated with jewels than that of Marie Antoinette," the press release reads. "Her great love of pearls and diamonds is well-known and a number of historians have cited Napoleon’s view, that the so-called 'affair of the diamond necklace' – a scandal which tarnished the queen’s reputation in 1785 – was one of the causes of the French Revolution." The collection includes 10 pieces that belonged to Queen Marie Antoinette, including a pair of diamond and pearl earrings estimated to cost between $200,000 to $300,000, a beautiful six-strand pearl necklace, and a stunning diamond brooch from the late 18th century. As mentioned earlier, the extensive collection will officially be put up for auction on November 14, 2018, in Geneva. But prior to this date, highlights will be put on display around the world in a public exhibition, including in New York from October 12 to 16, London from October 20 to 22, and Singapore from October 26 to 27. 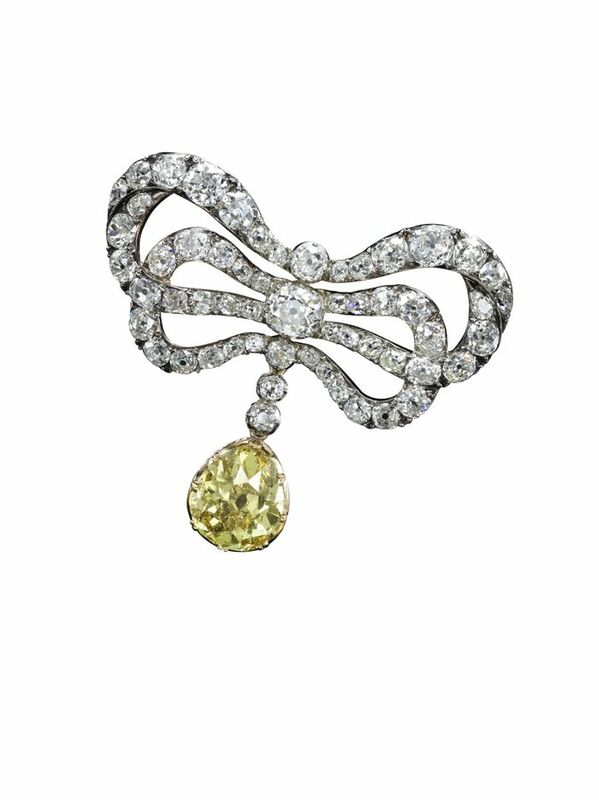 Jewelry lovers, this is your chance to see these historic jewels firsthand. Ahead, see a preview of some of Queen Marie Antoinette's stunning jewels that she wore 200 years ago.